Too often, employees only use their organizations’ learning management system when they are required to do so. However, individuals that explore the corporate LMS and use it for more than simply logging in to complete required training reap many benefits. Employees who have the option to view and pursue learning activities focused toward career development and personal growth are more likely to log in and explore the LMS more frequently. Meridian’s Career Development platform clearly defines paths for the learner to plan for their next role and achieve professional growth. Empower your employees via learning. Connect employees with training opportunities. 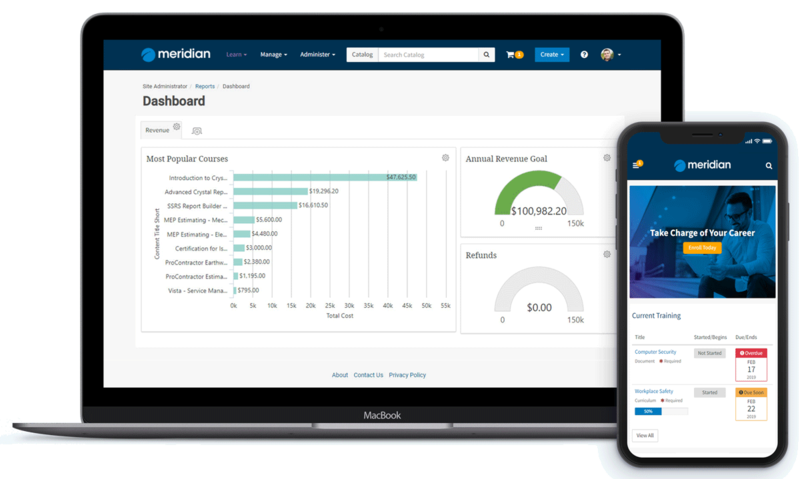 Meridian Career Development software clearly connects training opportunities to competencies necessary for the organization, making it easy to guide employees toward acquiring the skills necessary to meet future business needs.